Nancy and decided the weather last evening was perfect for a walk around the neighborhood. It was around eight in the evening and the sun ad already finished setting. It wasn’t dark yet but we knew it would be soon. Naturally we could not leave the house without Oshie so we decided to take him along. Lately we have been letting him wander ahead and explore. We live in a quiet neighborhood that is really friendly but cars do come through a bit fast. We decided it would be a good idea to make Oshie more visible and this was the result. 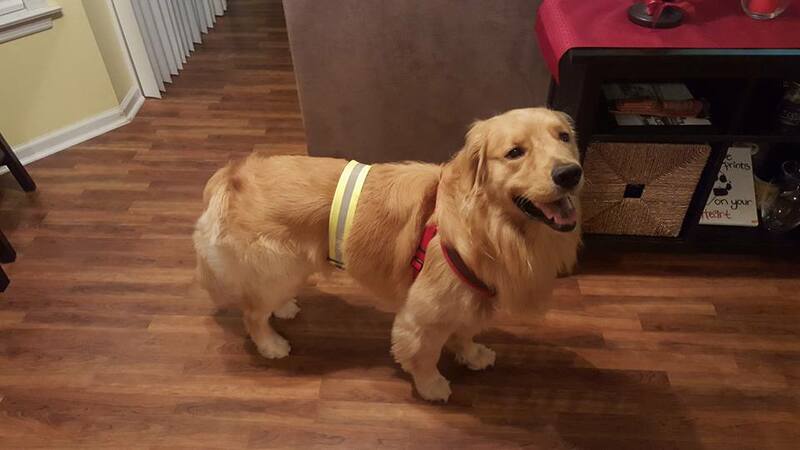 He loved the walk and we eventually readjusted the glow belt so to prevent it from squeezing his man hood.